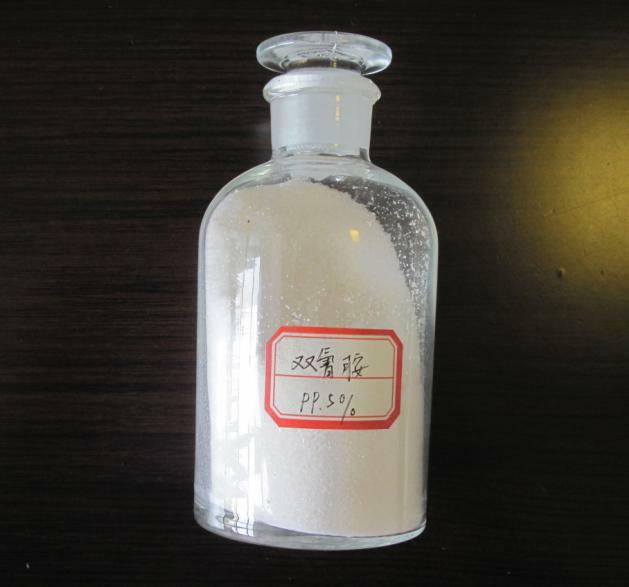 Dicyandiamide is white crystalline powder,solubility in water is 2.26% on 13°, Soluble in liquid ammonia, hot water, ethanol, acetone hydrate, dimethyl formamide, hardly soluble in ether, insoluble in benzene and chloroform. The density is 1.40. Looking for ideal Industry Grade Dicyandiamide Manufacturer & supplier ? We have a wide selection at great prices to help you get creative. All the Industry Grade 99.5% Dicyandiamide are quality guaranteed. We are China Origin Factory of White Powder 99.5% Dicyandiamide. If you have any question, please feel free to contact us.